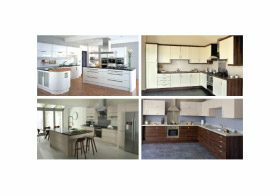 Price Kitchens are the number one kitchen design and fitting company covering the Sanderstead area. But did you know Price Kitchens also now offer bedrooms? With over 30 years of design expertise we’ve transferred our extensive knowledge in designing and manufacturing interior furnishings to be able to an extensive range of high quality bedrooms. Designed from the ground up, our bedrooms include integral storage solutions, complete fixtures and fittings, furniture and space saving designs. Whether you’d like something contemporary or more traditional, we’ve got the know how to build you a bedroom to be proud of, making the very best use of available space. With satisfaction guaranteed we’re confident our levels of service won’t be beaten and as the premier kitchen company in Sanderstead, we’re keen to become the number one for bedrooms too. Call in at our showroom to see our bedrooms range for yourself or get in touch today to find out more.